In both a challenging economic environment and a period of market expansion, you need an experienced translations provider to help you accomplish your business translation needs. Novatia Translations, works with large, medium and small companies on a daily basis for all their business translations requirements. Having a multinational/multicultural footprint is an absolute must in today’s global economy. To compete effectively, you and your organization will need high-quality translation services to support your business activities. 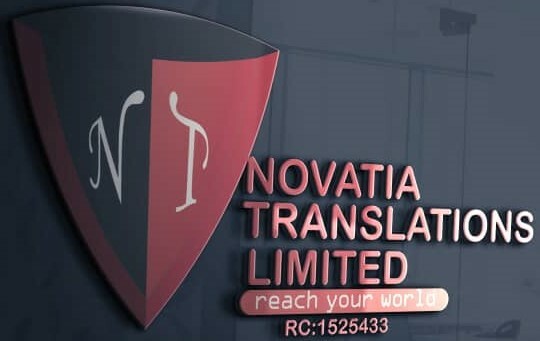 At Novatia Translations, our business translation service incorporates a multi-disciplined approach involving translation experts in the fields of marketing, finance, accounting, human resources and law. In many instances, we have several experts work on one translation project to ensure it accomplishes your objectives while protecting you from potential liabilities. This is often the case when legal and business communications mix. The way you say something in a particular region or country can have legal implications that do not exist in another country. One of the challenges of doing business in another country is trying to understand the nuances of the local regulatory bodies and government agencies. Trusted Translations has worked with the top multinational companies worldwide and helped them penetrate new countries and markets. Hence, we have amassed a significant amount of knowledge on numerous regions and their local translation requirements. We have translated thousands of financial statements and key corporate documentation for our clients, enabling them to legally do business in these markets.